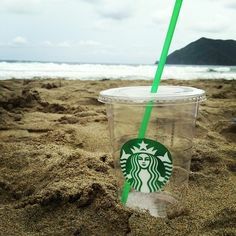 Many open water swimmers and triathletes head over to their local pool, an open water swim or competition with a Starbucks drink in hand. If not, they are bound to cross paths with one or more of the many Starbucks locations. Starbucks, like other chain outlets, try to deliver the same drink every time anywhere. But there are also Starbucks regulars who like to order customized caffeinated drinks made to their personal tastes (e.g., Tall, Half-Caff, Soy Latte or Grande Non-Fat Frappuccino With Extra Whipped Cream And Chocolate Sauce or Venti 1/2&1/2, 10 Pumps Vanilla, Extra Whip).